Royal Caribbean going to be investing more into its private island of CocoCay in the Bahamas. A new pier will be one of many new enhancements to the exclusive cruise destination for the cruise line guests. A new pier will be built on Royal Caribbean’s private island of CocoCay, Bahamas. The Miami-based cruise line made an agreement with the country which includes a major investment which will help grown the tourism industry. New features will be added to the island and the local culture will take center stage with new opportunities for local craftsmen. A new training program will be developed to bring the skills needed to the industry. The cruise line will create a curriculum that will prepare many thousands of students for careers at sea on board one of Royal Caribbean’s ships. The classes will be facilitated by dedicated instructors who will provide students with theoretical and practical knowledge to help them develop valuable and marketable hospitality skills. The popular Grand Bahama shipyard located in Freeport will be jointly owned by the Bahamas and Royal Caribbean. It will become a vital part of upgrading cruise ships through the years ahead. 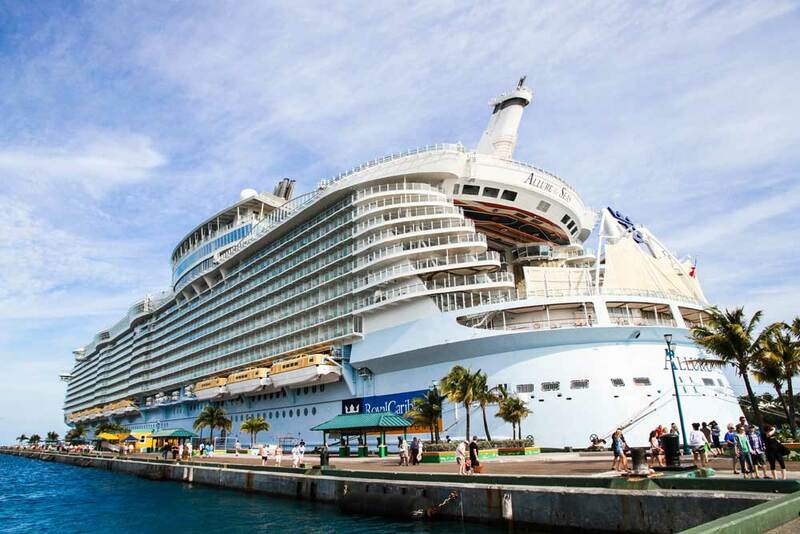 Royal Caribbean currently brings 1.7 million visitors a year to The Bahamas, with plans to significantly expand that number in the next decade as they add capacity in the region.